In a press release issued yesterday, Amazon reported details of an exceedingly strong fourth quarter. The company announced that its 12-month cash flow increased seven points to $18.4 billion, up more than a billion from the same period a year ago. While that -- and the fact that Amazon shares have surged more than 20 percent this year -- seems like a home run, there are financial strategists who are looking at the company with a different point of view. "It's very similar to what you'd seen back in early 2013, also in early 2016. When you got this far extended usually there was some sort of setback and a healthy correction that took place," Craig Johnson, Piper Jaffray’s senior technical strategist, told CNBC on Thursday. Amazon is no stranger to value resets. At the beginning of 2013, its stock was trading at 160 times forward earning. But the company took a 5 percent hit in April 2013, followed by an additional 7 percent one in August. Similar dips and peaks happened again in 2014 and 2016, but there was always recovery. Only time will tell what 2018 holds for Amazon, but its investment in outside-its-box initiatives like healthcare will no doubt be watched with a careful eye by the financial world. Has Prime hit its ceiling? 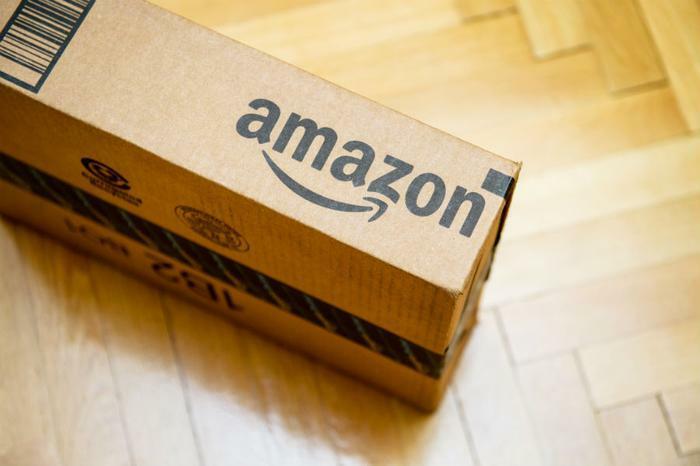 There’s also some concern that, despite a strong holiday sales season, Amazon’s Prime membership program is showing signs of a slowdown in growth, according to a survey by Morgan Stanley. While Prime membership has captured 40% of U.S. households, there’s been no forward movement in that metric for a year, partly because its higher income customers are maxed out and penetrating lower-income households and the seniors market may be a difficult task. One hurdle Amazon will have to overcome with its untapped Prime market is the price of membership. In January 2018, the company increased the monthly price of Prime from $10.99 to $12.99, but kept the annual fee at $99 if a customer pays it up front. Also on Thursday came the news that Amazon plans on hiring 10,000 new employees in 2018 on top of the 566,000 it already has on its payroll. Some of that surge in Amazon’s workforce will no doubt ride on the back of their Echo devices with Alexa, its speech recognition system. Tens of millions of Alexa-enabled devices sold worldwide between Black Friday and the end of the 2018 holiday season, giving that product category its best holiday segment ever. Echo Dot and Fire TV Stick with Alexa Voice Remote hit the top of Amazon’s charts, both in the the company’s own device category and the list of top-selling items from any manufacturer in any category across all of Amazon. Alexa’s skill set has elevated the virtual assistant game, with the Alexa Skills store now offering more than 30,000 skills. In what has the makings of a personal broadcaster, Alexa users can create playlists of news stories, ConsumerAffairs alerts, podcasts, and music, not to mention interactive games like The Match Game and the History Channel’s Ultimate History Quiz.